Enchanted by the beautiful gardens of the Morris Arboretum on a early September afternoon a year ago, I returned to visit again, this time on spring day in April. 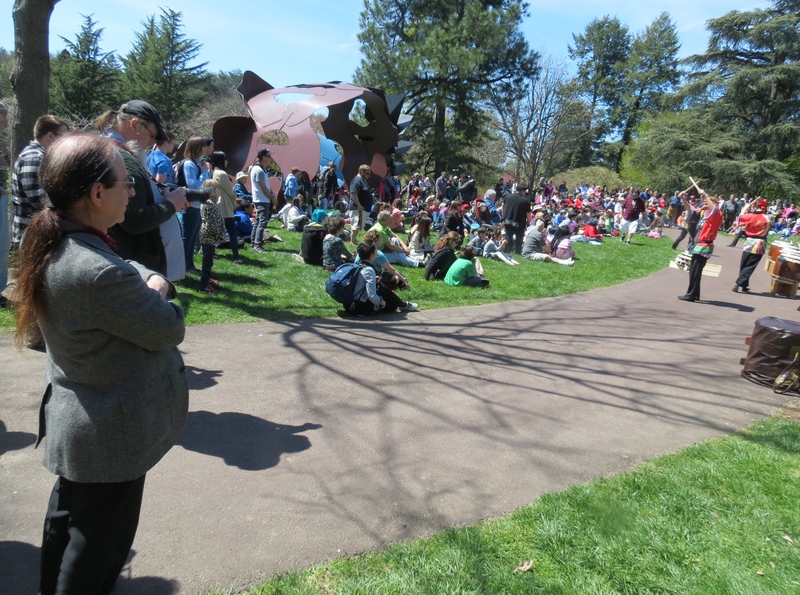 This weekend the arboretum celebrated their annual Japanese Cherry Blossom Festival. As part of the celebration, KyoDaiko, a community-based taiko drumming group, presented a stunning visual and sound performance. I admired their synchronized movements as they beat the drums in unison. According to Wikipedia, taiko drumming goes back to the 6th century; the Japanese used the drum for communication, theatrical performances and religious events. That’s what they’ve called it when trees, bridges and gazebos are covered with crocheted yarn. Melissa Maddonni Haims is the local fiber artist who wrapped up the limbs and structures, mostly from recycled materials. Well, I think I’ve seen everything now after finding trees adorned in sweaters. 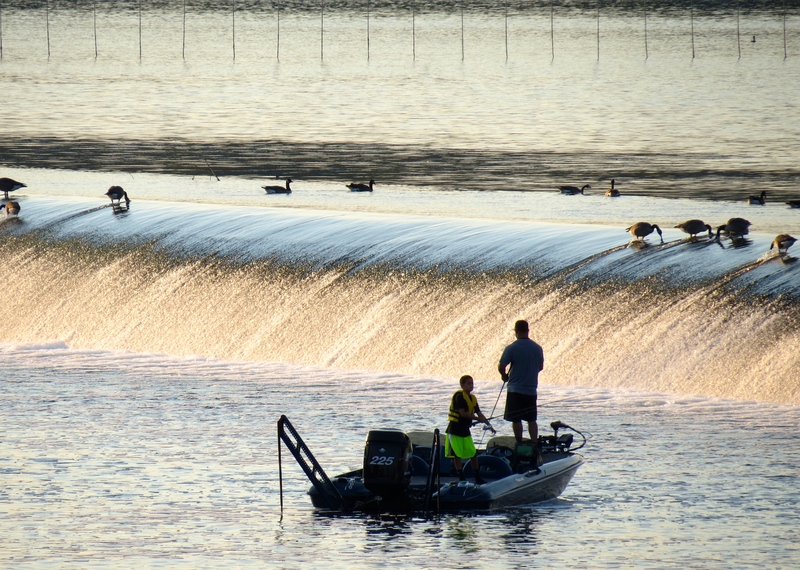 Gurgling streams flowed into peaceful ponds where swans paddled gracefully and ducks splashed around in the water or in one case, take a nap on the nearby wall. In the fernery, carp swam in the shallows of a rock garden. 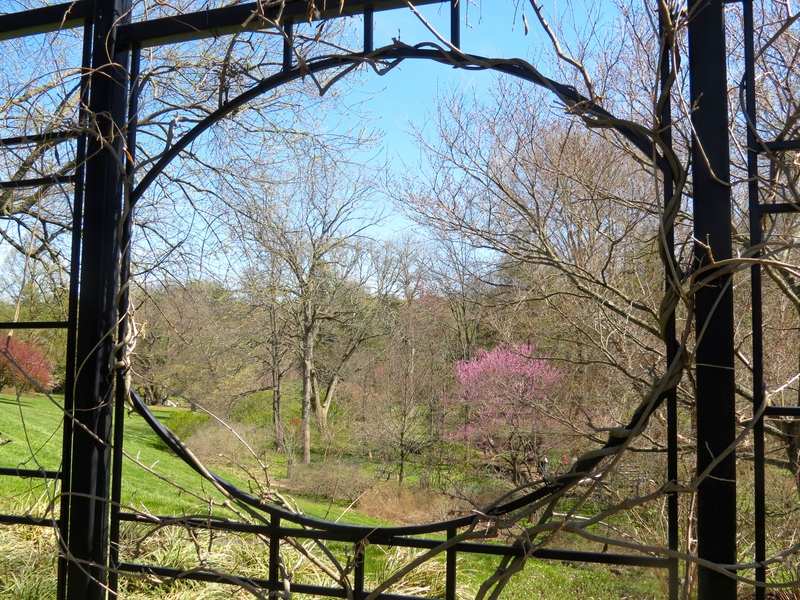 The arboretum has 92 acres to wander and each vista offers something interesting to study. Stepped into a grotto, passed through the rose garden and explored a woodland path–a warm spring afternoon at the Morris gardens has stayed with me for days. To Meander: following a winding course: a meandering lane. Proceeding in a convoluted or undirected fashion. 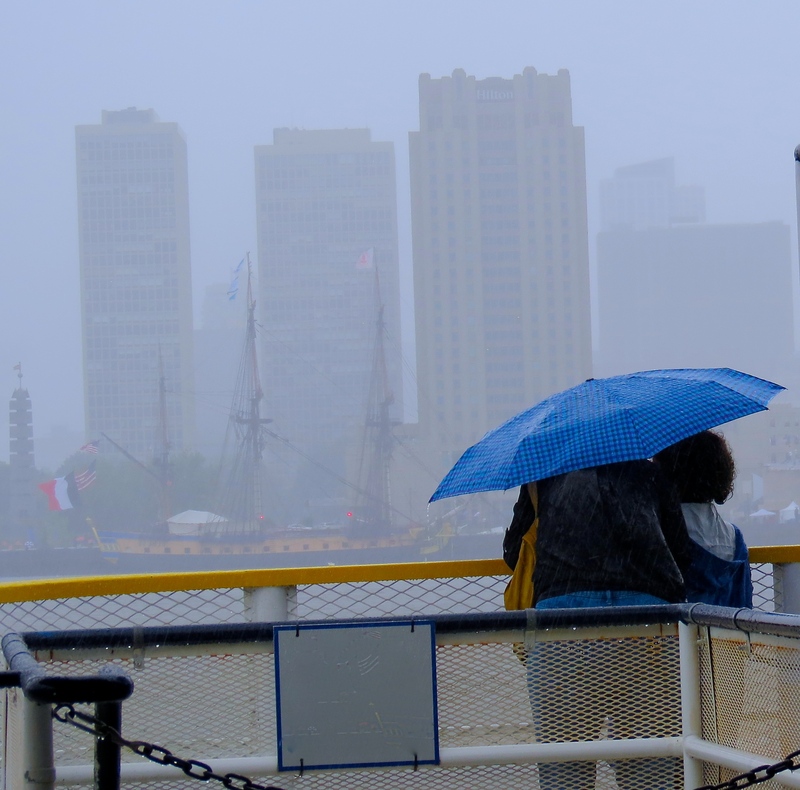 The Philadelphia Photo League sponsored “Meandering with Mike K” street photo walk. Members met at the Good Karma Cafe at 331 S 22 Street to get coffered up before heading out on our late afternoon trek. Below is the street scene along 22nd and Good Karma’s back patio. 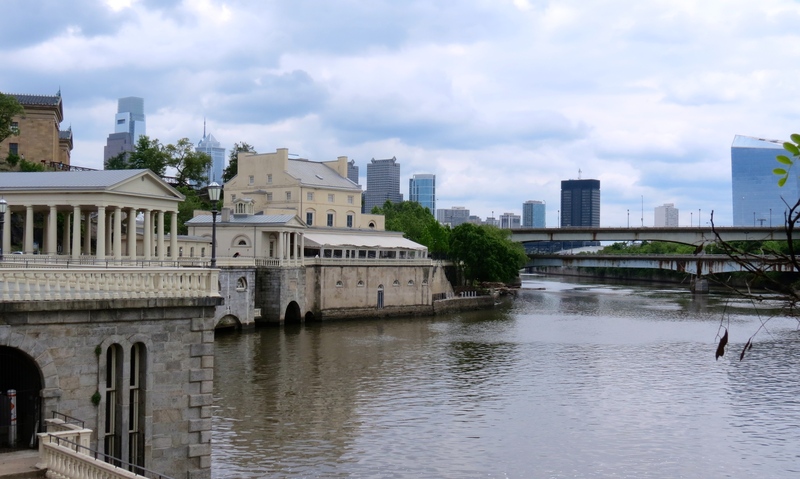 Filter Square is located in the area west of Center City, bordered by the Schuylkill River. 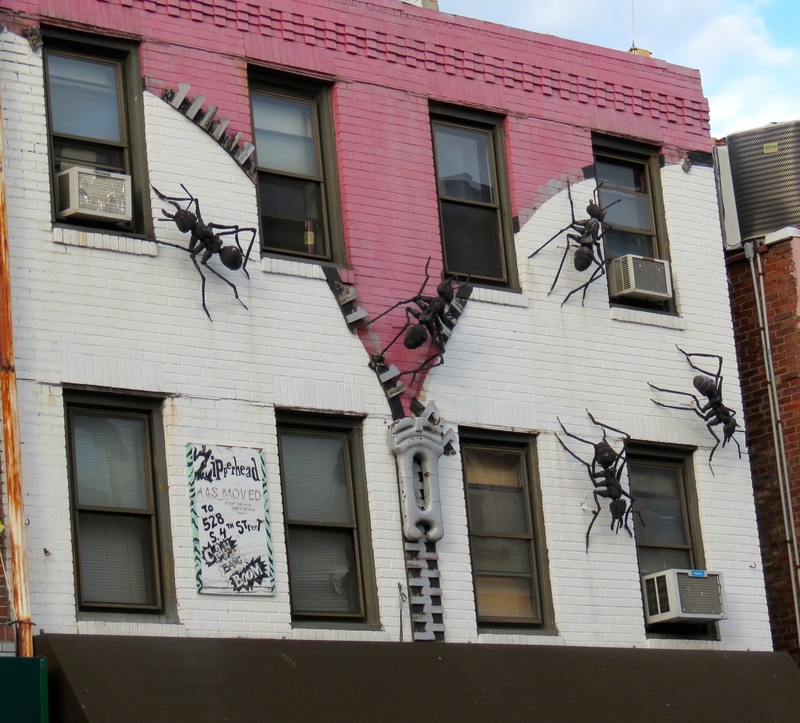 Mike, who presented commentary and helpful photo suggestions, led us down Rittenhouse Street and Delancey Place, where we admired and photographed the Victorian architecture. We then paused as we passed through Filter Square, a quaint residential neighborhood park built more than a century ago. 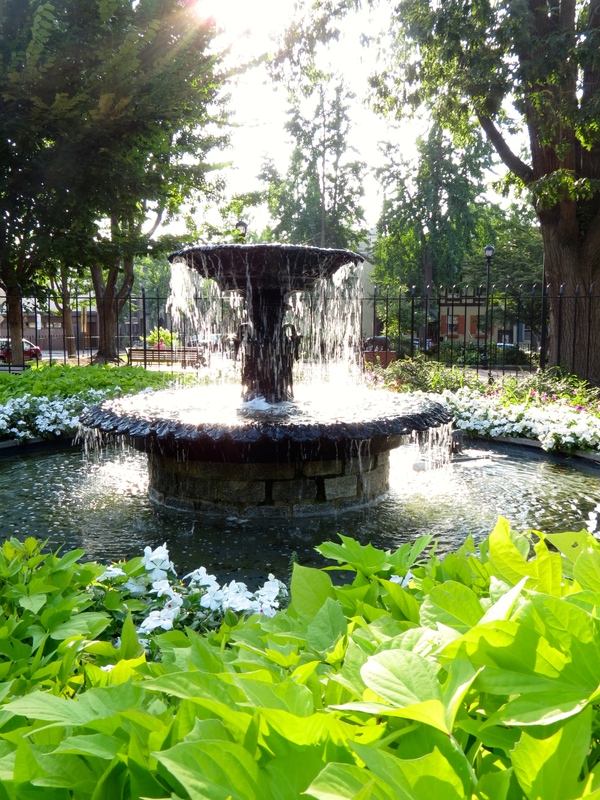 Surrounded by mature trees stands the park’s central feature, a Victorian-era fountain surrounded by an iron railing and a ring of white flowers. Children chalked on the sidewalks and neighbors chatted on the benches as we photographed the goat and other animal sculptures. 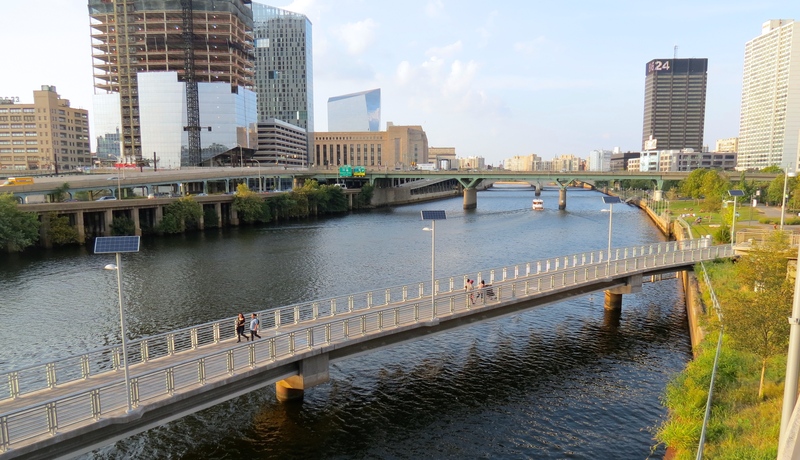 We finished our meander on the Schuylkill Banks boardwalk, which I followed back to 30th Street Station to catch my train. 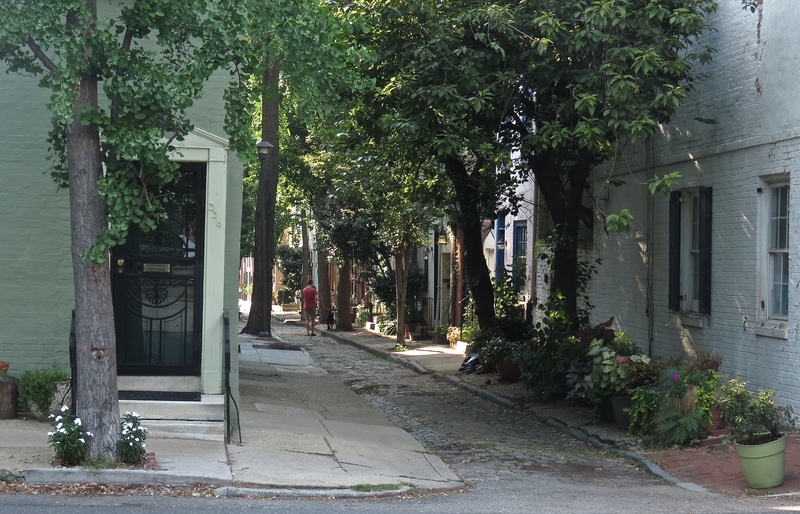 What a delight to visit this section of Philly, finding so many places to photograph and to just enjoy being in this picturesque city. The enthusiastic crowd responded to a series of speakers and performances that called on elected officials to support their initiative, an equal voice for everyone. The rally is Washington is set for April 11 at the Capitol Building and organizers have said that thousands have pledged to sit-in for seven days. Over 100 organizations have signed on in support of Democracy Spring. 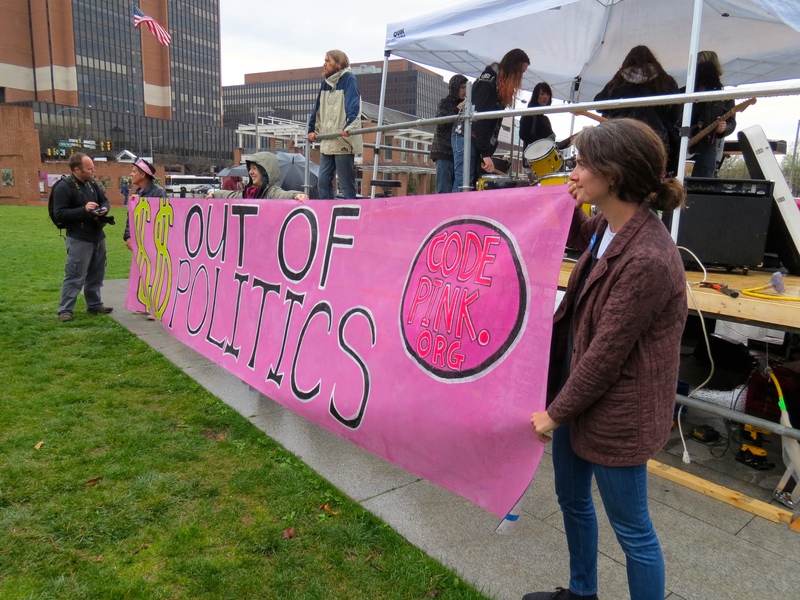 Overturning the Supreme Court’s 2010 Citizens United decision, which has resulted in big-money interests buying elections, corrupting the political process, is fundamental to keeping democracy sound. Philadelphia Hiking Meetup Group sponsored a tour of West Philadelphia that focused on African-American historic sites. The organizer, Jed McKee, plans hikes that are transit friendly and is one of the reasons I selected this walk. 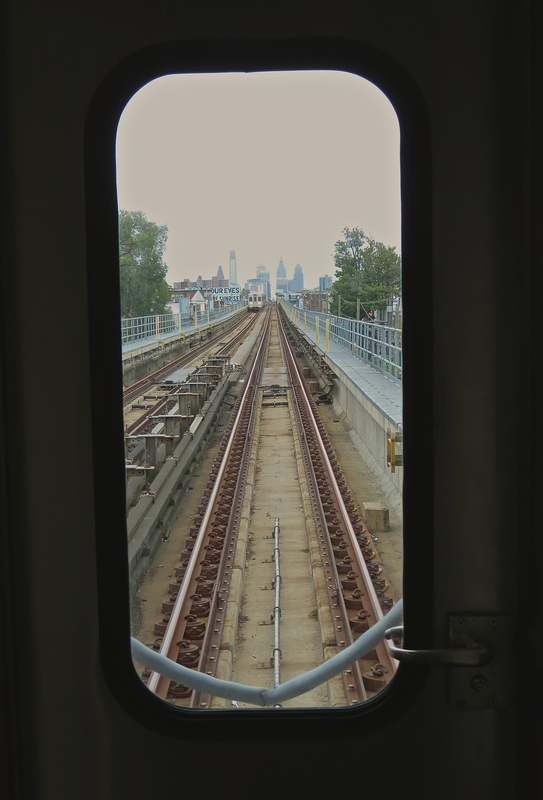 The tour began at 30th Street Station, which is a hub of the rail lines, including Amtrak and Septa, that go in and out of Philadelphia. Our group met under the Pennsylvania Railroad World War II Memorial, a 39-foot monument commemorating the Pennsylvania Railroad employees who died in World War II. The bronze sculpture, Angel of the Resurrection, represents Michael the Archangel raising up a dead soldier out of the “flames of war.” Assistant Organizer, Scott Maits, our guide and local historian, began his commentary with a history of the station and of early Philadelphia. 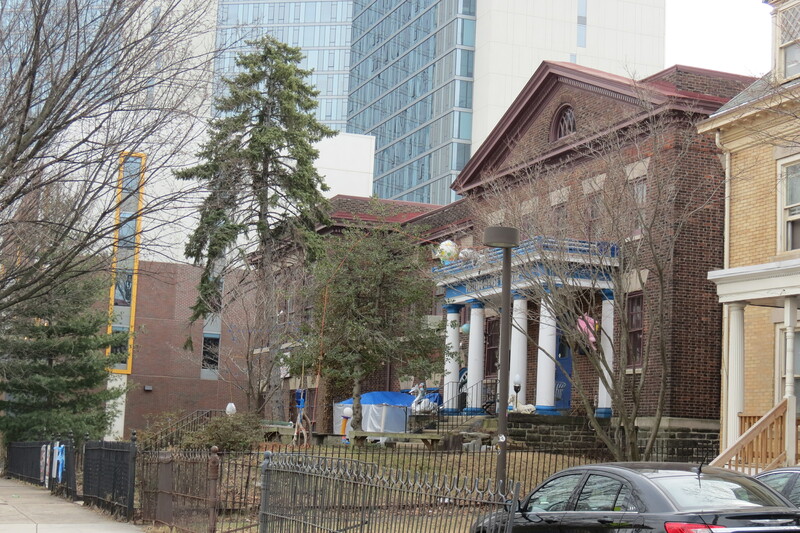 We crossed through the campus of Drexel University into the area known as Black Bottom, a predominantly African-American community that was almost completely destroyed in the 1960s for “urban renewal.” Penn, Drexel, University of the Sciences, and Presbyterian Hospital worked together to acquire properties for eventual demolition. Scott gave us an opportunity to view the facilities of the Community Education Center, that once housed the Quaker Friends School and Meetinghouse, rebuilt at the turn of the 20th century. 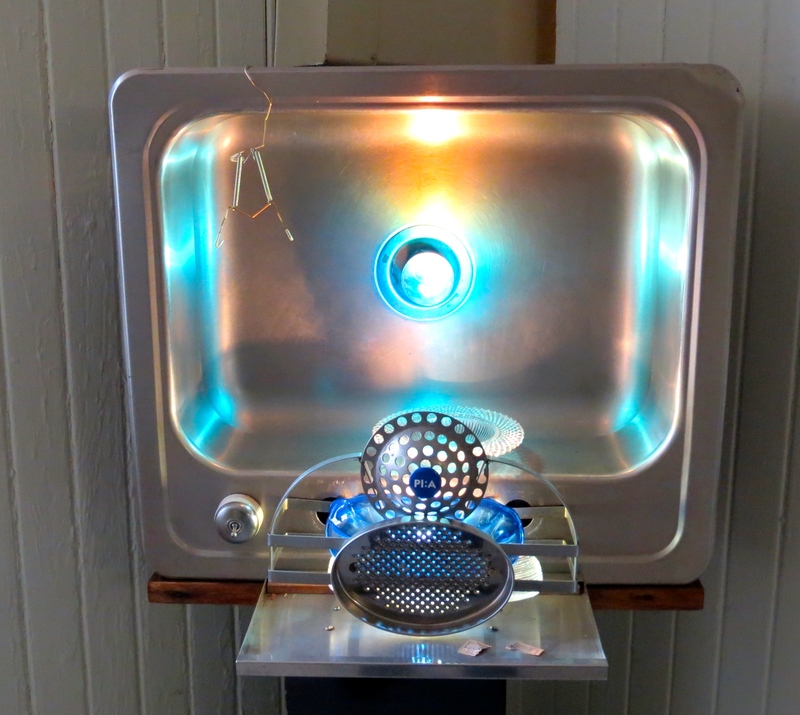 Local community members founded the CEC “to promote shared experiences and nurture fellowship among its varied neighborhoods across cultural and economic differences.” The Center supports local community art programs, especially dance and performance. 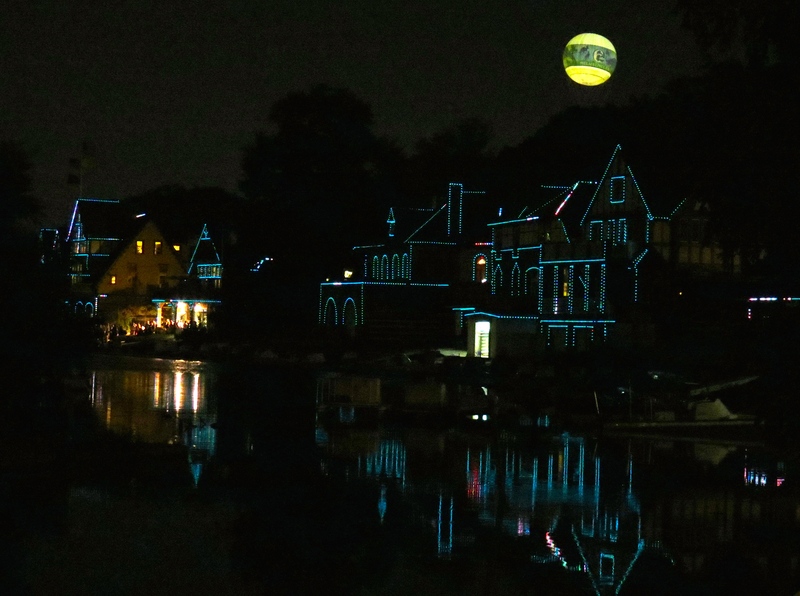 The neighborhood varied from grand mansions to row homes. 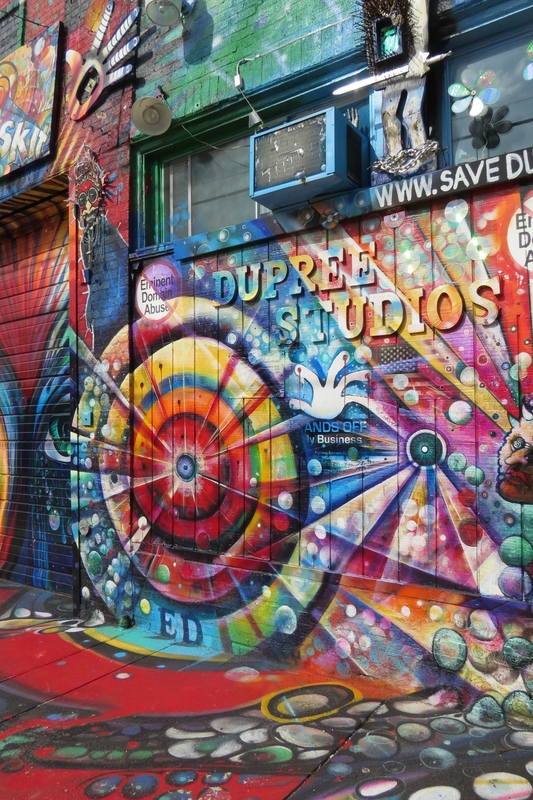 Dupree Studios just won their long battle with the Philadelphia Redevelopment Authority (PRA); the agency has ended condemnation proceedings to acquire the property by eminent domain. 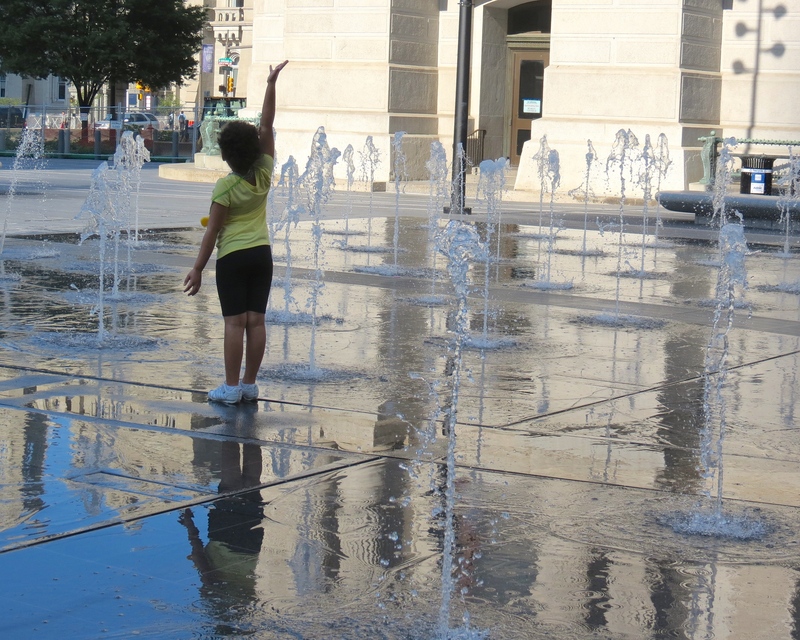 We walked along Lancaster Avenue, originally called the Lincoln Highway, finding these wonderful moments along the way. Inspection Station with mural and mosaics. Included this photograph of CBM Tires because I like old gas stations! 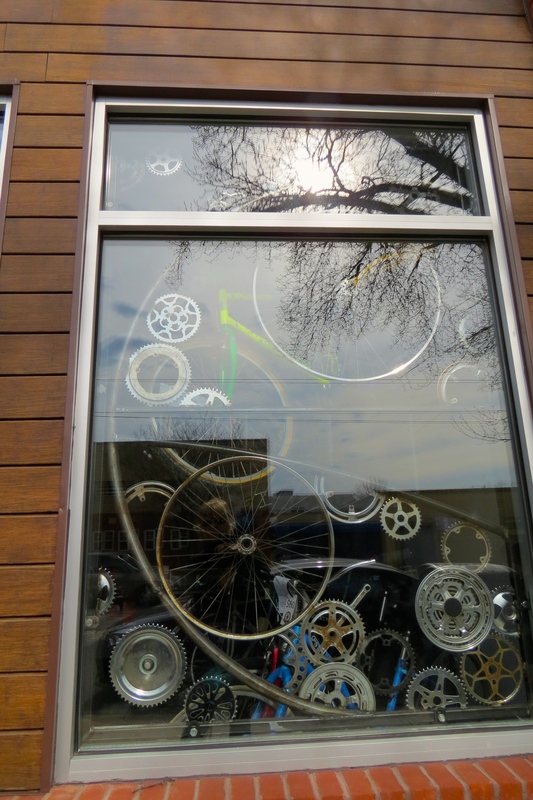 Bicycle Shop with clever display of wheels and gears. Can’t find anything like this at the mall. 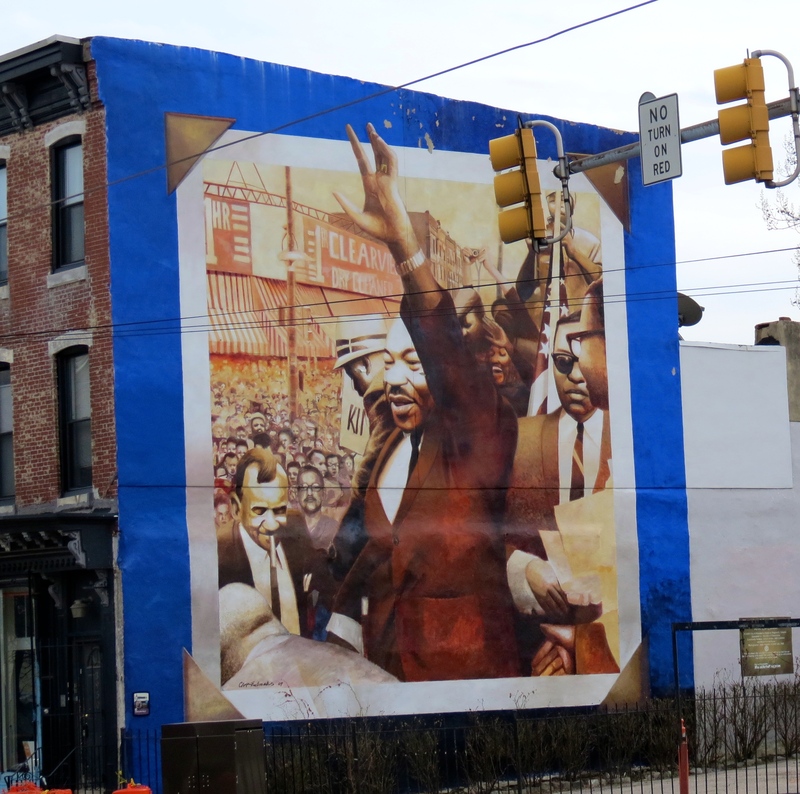 40th Street and Lancaster Avenue, Martin Luther King Jr. mural. Mural recreates “Freedom Now” Rally held on August 3, 1965, during the Civil Rights movement. 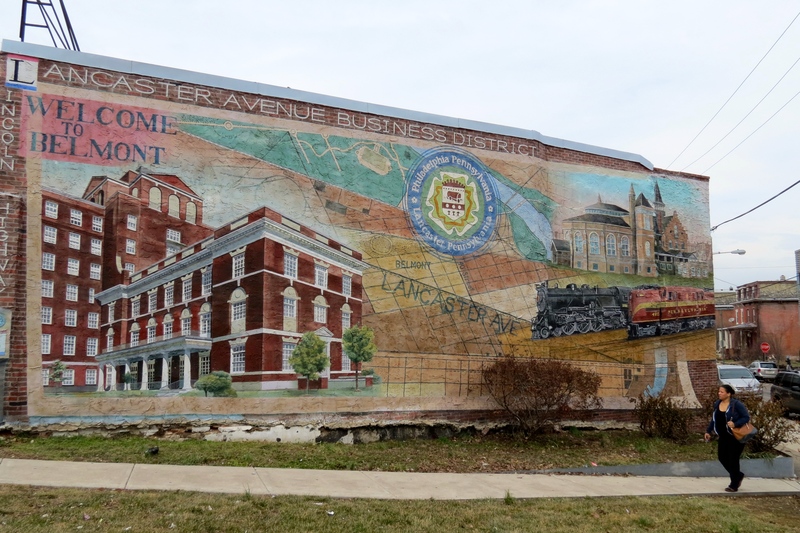 Our last stop was at the intersection of Lancaster Avenue, 42nd Street, and Brown Street, near the New Africa Center Muslim-American Museum, before heading back to 30th Street via Number 10 trolley. 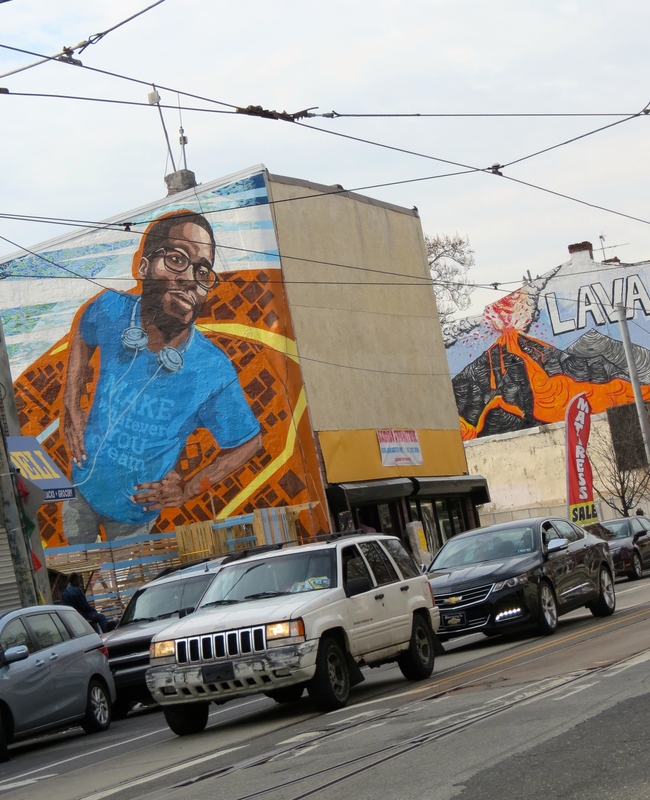 The contrasts on Lancaster Avenue are striking: blighted stretches of store fronts and sidewalks in desperate need of cleaning juxtapose with the creative art displays, both public and private. 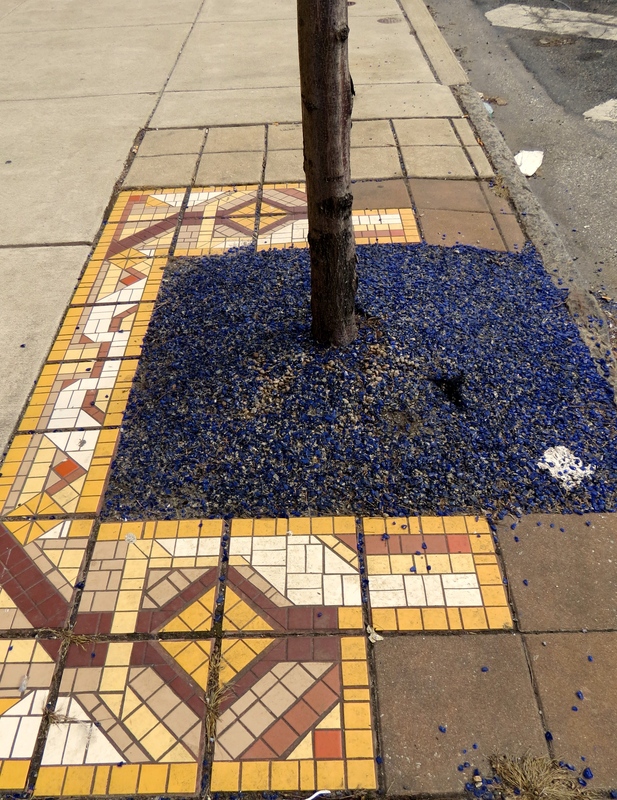 Derelict buildings stand next to colorful sidewalk mosaics. 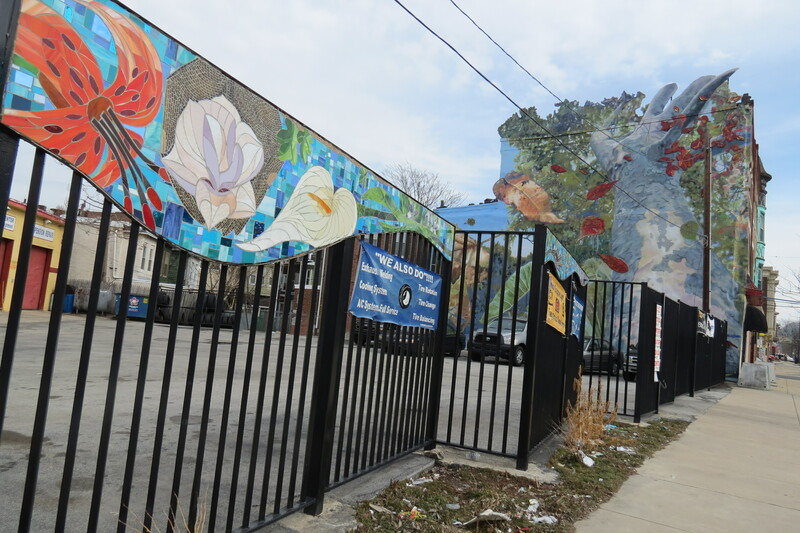 After years of economic decline, revitalizing the neighborhood is a challenging task: to create a prosperous commercial corridor while preserving and encouraging a mixed-income community. 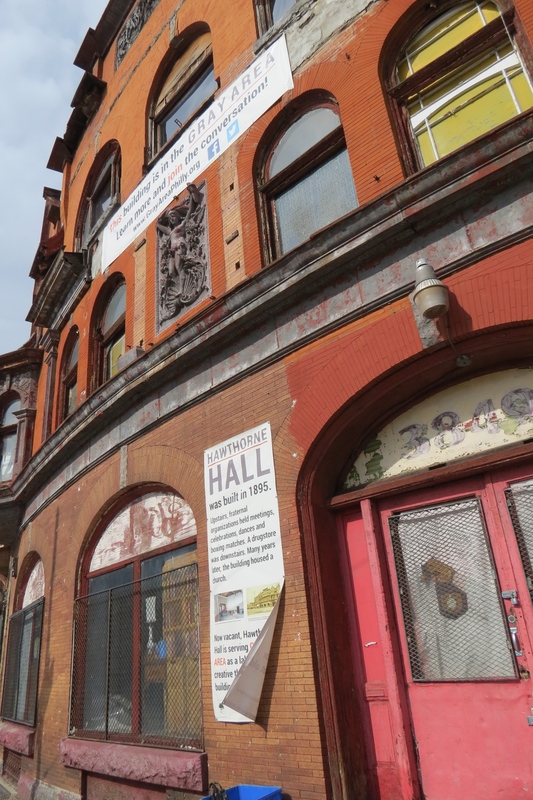 Extended thanks to Jed McKee and Scott Maits for giving our Meet Up group an opportunity to visit and to learn about the history of this important Philadelphia neighborhood. 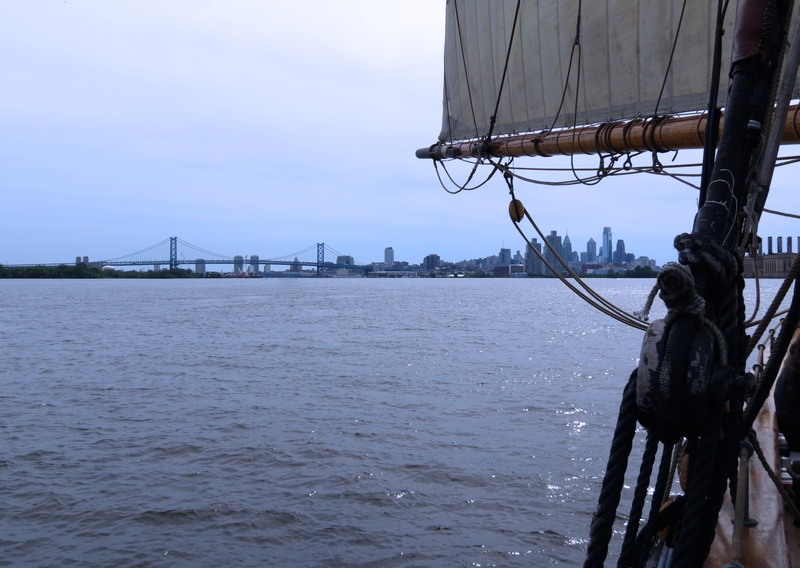 On this day, Philadelphia became the first city in the United States to be designated as a World Heritage City. 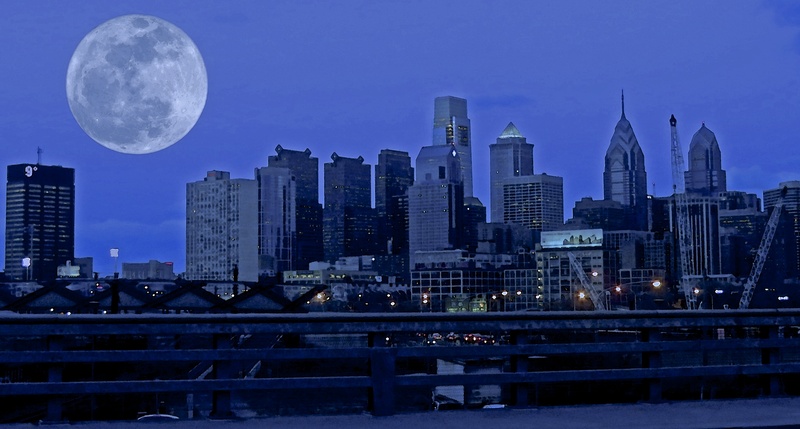 Philly has joined 266 cities with this honor, including Paris, Florence, Prague and St. Petersburg. 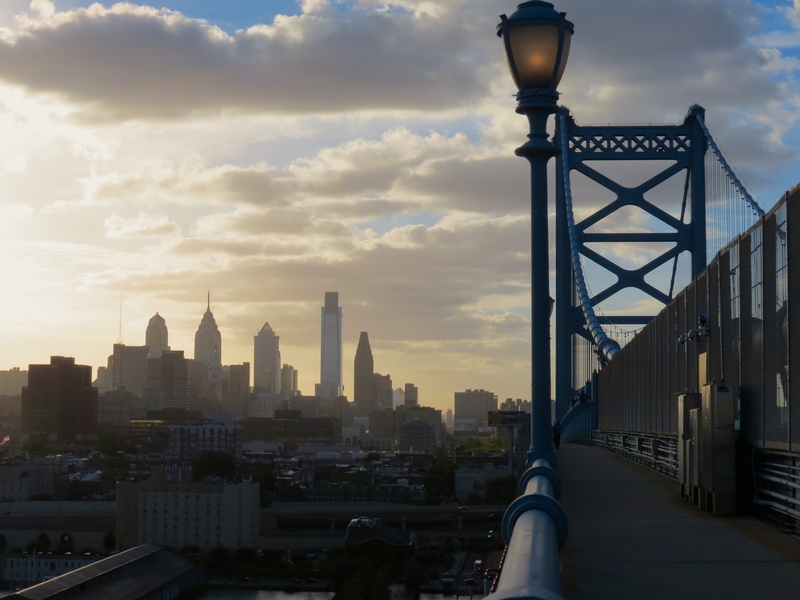 The City of Brotherly Love, so named by William Penn, who used the Greek words for love (phileo) and brother (adelphos), has earned its nickname: abolitionists, animal rights and Aids activism and origins of ACLU. Philadelphians are active protestors. 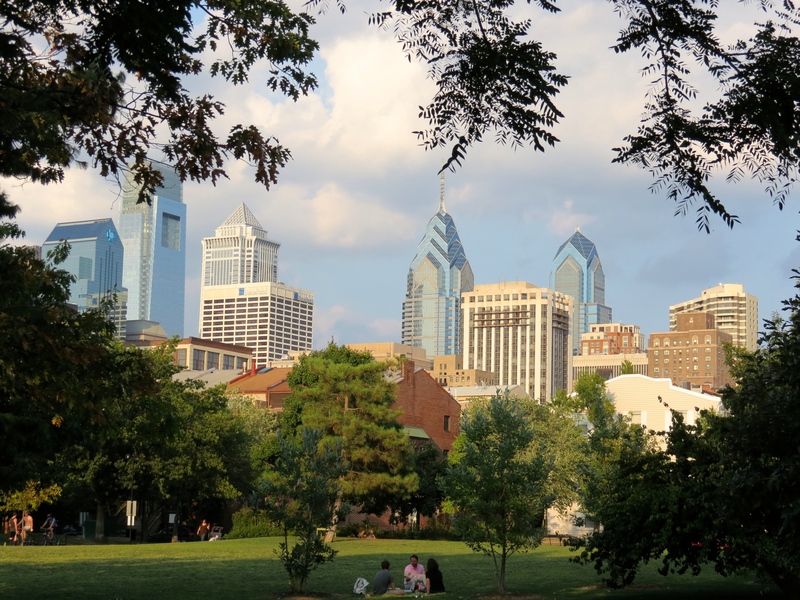 Philadelphia is a city of neighborhoods and each has their own charm. 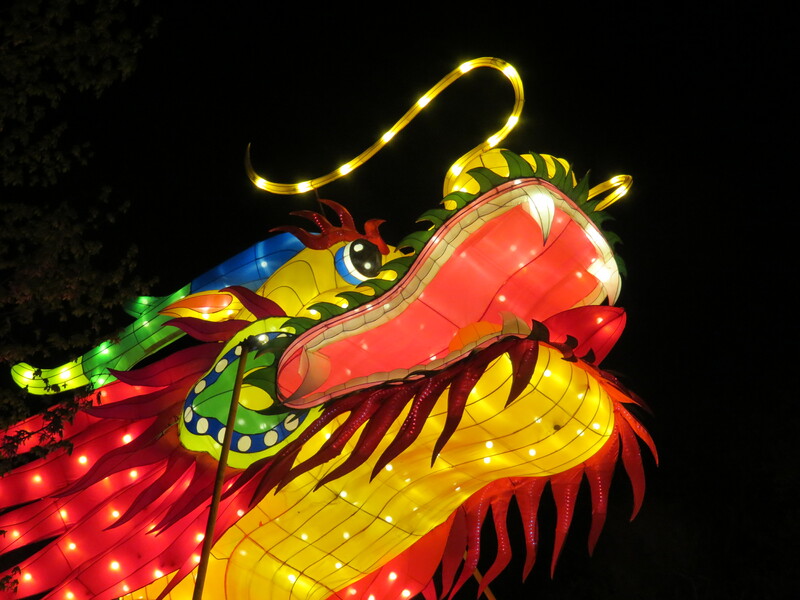 An exploration into any one of the city’s 18 districts, visitors can find ethnic food, bike paths, hiking trails, historical streets and buildings, entertainment facilities, parks, sport’s arenas, cultural events and eclectic shopping. 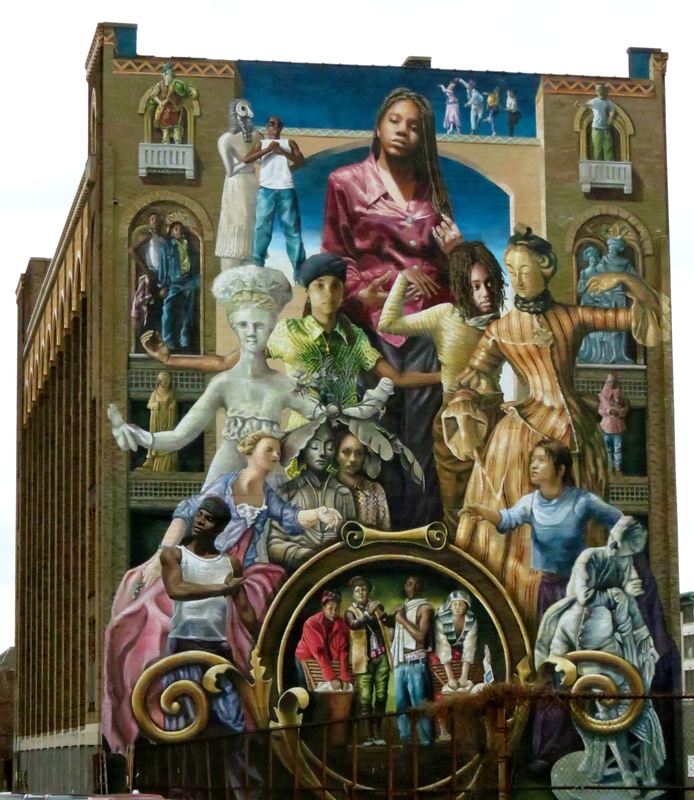 The visitor will not have to travel far to find a mural to admire. In celebration of this wonderful accomplishment of our city, I’ve posted my favorite photographs of our hometown.